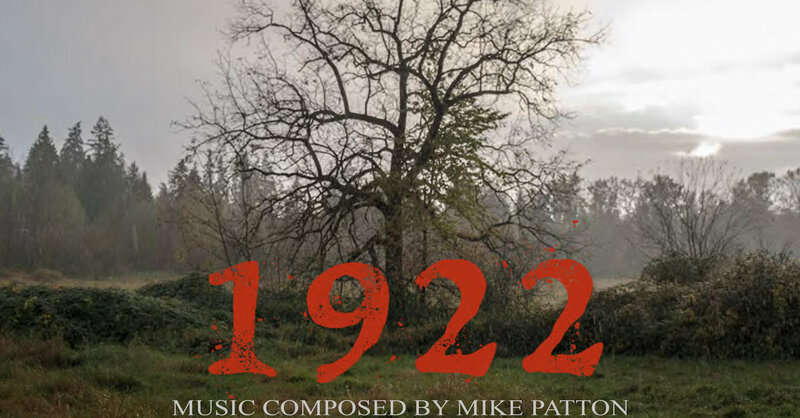 Exclusive: Preview Mike Patton's 1922 OST With a "Dead Woman's Secrets"
Last year’s 1922 was a Stephen King adaptation that pleased a great many viewers when it hit Netflix. The story of Wilfred James and his admission to killing his wife, the film was lauded for its production value, riveting performances, and, highly relevant here, composer/songwriter Mike Patton’s original score. Coming out on digital and physical platforms today via Ipecac Records, we want to give you a slice of Patton’s work in the form of “Dead Woman’s Secrets”, a haunting and deeply unsettling piece that opens with dissonant vocals that serve as the backdrop to an almost lullaby-esque melody if one were to wish nightmares upon those who have yet to slumber. As the song winds down, record player crackles pepper an eerie violin’s lingering note before the song crescendos to a terrifying climax. It’s pure terror in music form and conveys the guilt, madness, and fear that pervades throughout the film. You can pre-order the 1922 soundtrack on one of multiple platforms right here.